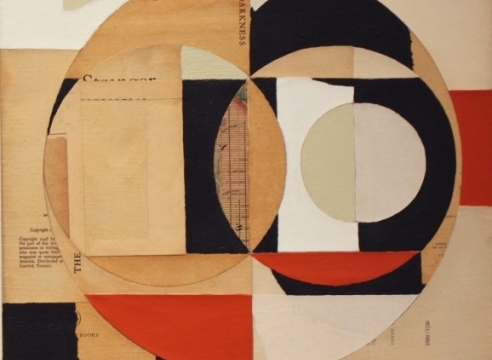 JOHN SPINKS paintings and collages incorporate handwritten letters, sheet music, books pages, comics and maps, and serve to survey a spectrum of sensitive works from quiet Cubist-like abstractions to Pop iconic and graphic mandalas; and from the witty and humorous to the personal and poetic. 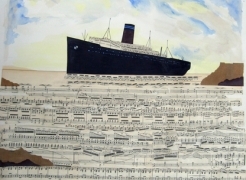 His recent collages of ocean liners sail on a sea of musical notes, and his small skeleton illustrations are playful vignettes with the reaper. 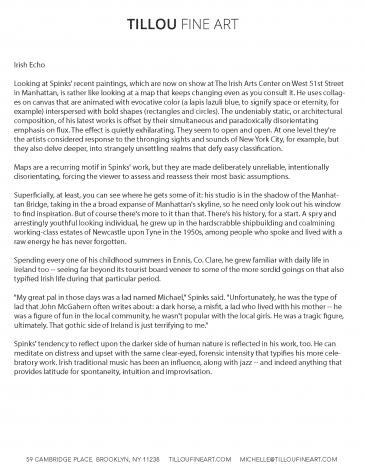 Born in Ireland and raised in Newcastle upon Tyne, England, Spinks earned a Bachelor of Arts degree from Durham University, after which he taught Engish and drama for some 15 years. Upon moving to New York City, he was a studio manager for Helen Frankentahler and then for James Rosenquist, while always seriously pursuing his own artwork. 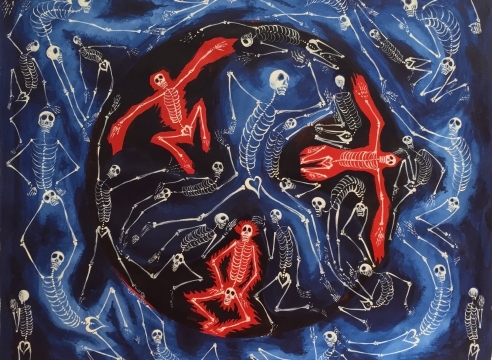 His work has been included in several museum exhibitions, and he has shown with a number galleries in New York City, most recently with the Danese Gallery. 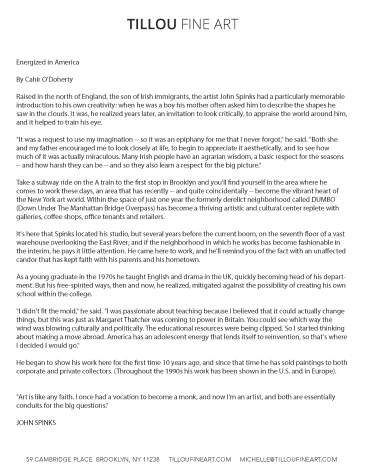 Just ending in April 2013 was his third exhibition at the Irish Art Center in New York City. 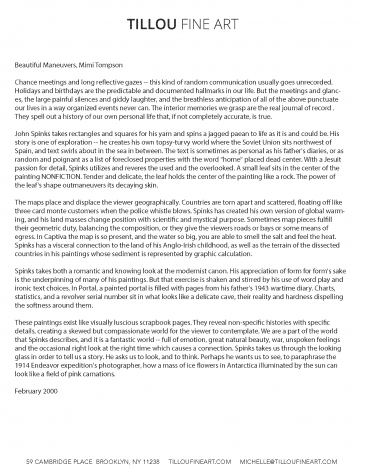 Spinks' works are represented in many private and corprate collections including Coca-Cola Company, Atlanta, GA; Marsh & McLennan, Greenwich, CT; and Sony Music, Miami, FL. 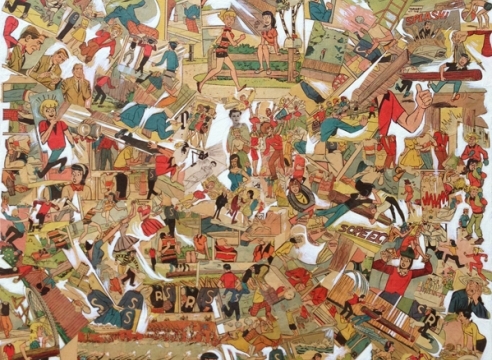 In October, 2013, Kinz + Tillou presented Spinks' work in a special exhibition, The Last Ship, at the Public Theater in NYC in conjunction with a run of benefit performances of the same title by Spinks' longtime friend, Sting, as they grew up together in the ship building towns of Wallsend and Newcastle upon Tyne.